Beans (like Molly Ringwald) can be a thing of beauty. And I don’t think that’s just because I like Joni Mitchell, spent formative years in Vermont, or went to college a lentil’s throw from the Moosewood Restaurant. I’ve written here about chili, here about black beans, here about enchiladas, and here about my all-time favorite white beans from Union Square Cafe. My love for the legume, is, I feel, well documented. I had some red kidney beans from Cayuga Pure Organics kicking around my cupboard and felt like taking them out for a spin. So I soaked them overnight without having a particular plan in mind, but knowing you can’t go wrong with having soaked beans around. They’re just too versatile. Today, after they’d bathed for close to twenty-four hours, I drained their soaking liquid, filled the pot with fresh water, threw in half an onion, three big cloves of garlic, and cranked up the heat. I cooked them for one hour until the beans were soft enough to squish in between my fingers. I still didn’t quite know what I was going to do when my Ninja blender caught my attention on the other end of the counter. When in doubt: puree. 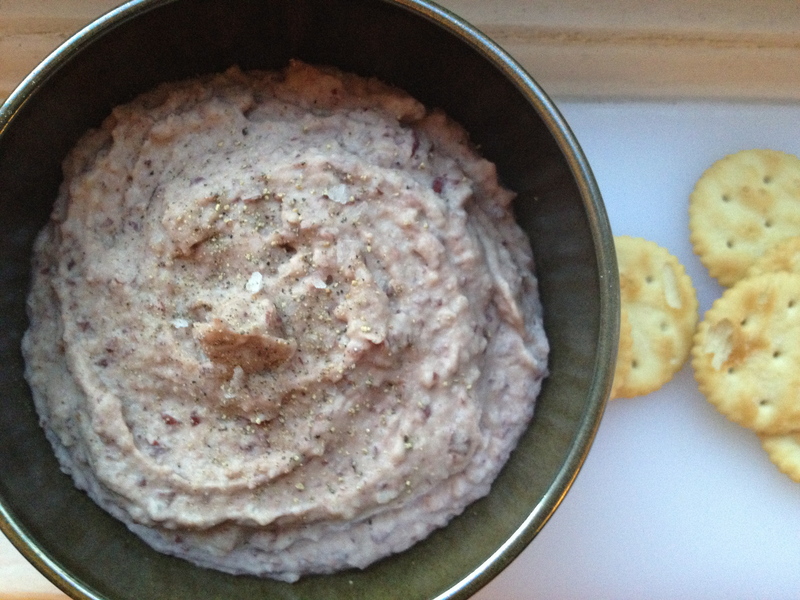 I decided I’d make a bean dip. I let the beans cool a little, then mostly drained them, threw them in the Ninja with the cooked onion and garlic, and poked around for what else could smooth out the dip. I settled on homemade sesame tahini that was already made, and lots of salt and pepper. But it needed a little something for body. I had leftover cooked rice so I threw in 1/4 cup of that. One ninja minute later, I had a very pretty, pink dip. In the spring or summertime I would definitely add some fresh herbs to the mix. I can’t really think of a type of bean this recipe wouldn’t work well for, so if you have black, pinto, navy, or other kinds of beans in the larder, give it a whirl. And I mean that literally. Soak your beans overnight, covered by 3 inches of water. The next day, when you’re ready to roll, drain the soaking liquid, and refill the pot with water, covering the beans by about 2 inches of water. Throw in the onion, halved, and garlic cloves. Bring the water to a boil, then turn down to a simmer. Cook on low-medium heat with a slightly ajar lid until the beans are thoroughly cooked through, approximately 45 minutes to 1 hour. Turn the heat off and let the beans come to room temperature. Now you can drain the cooking liquid completely or preserve to use later (I made extra beans—2 c dried—and preserved the liquid to make a soup with the other half of cooked beans tomorrow). 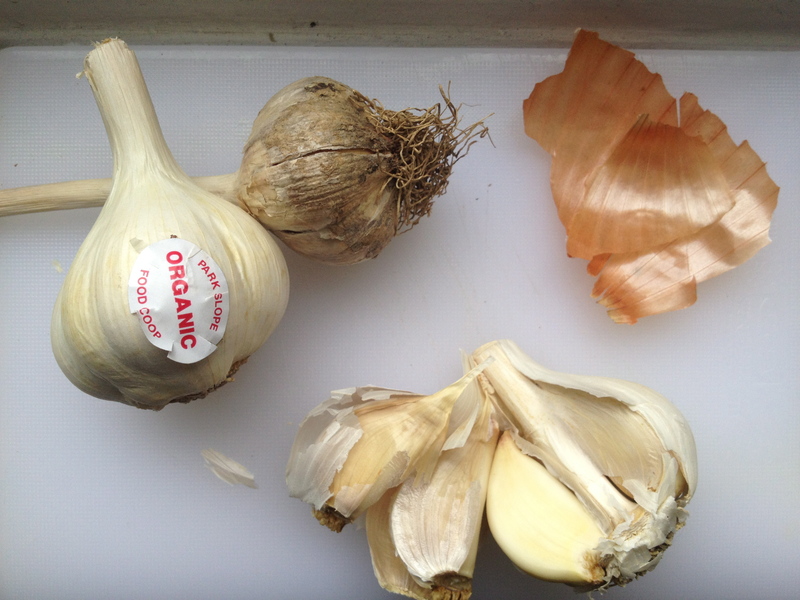 Remove any skins that may have been left on the onions and garlic and discard. Transfer the beans to a blender or food processor with about 1/2 of the cooked onion and all of the garlic cloves. Add the tahini, rice, and a good pinch of salt and freshly ground black pepper. Puree until smooth. Delicious served with your favorite cracker (I love Late July classic saltines), spread on bread, or served with raw veggies. I also admit to eating it by itself, by the spoonful. Think of it as hummus 2.0. Postscript for my sister Hope – the onion and garlic will kill you, but try this with cooked leeks, celery, and carrots instead, and/or add 1/2 veggie bouillon. 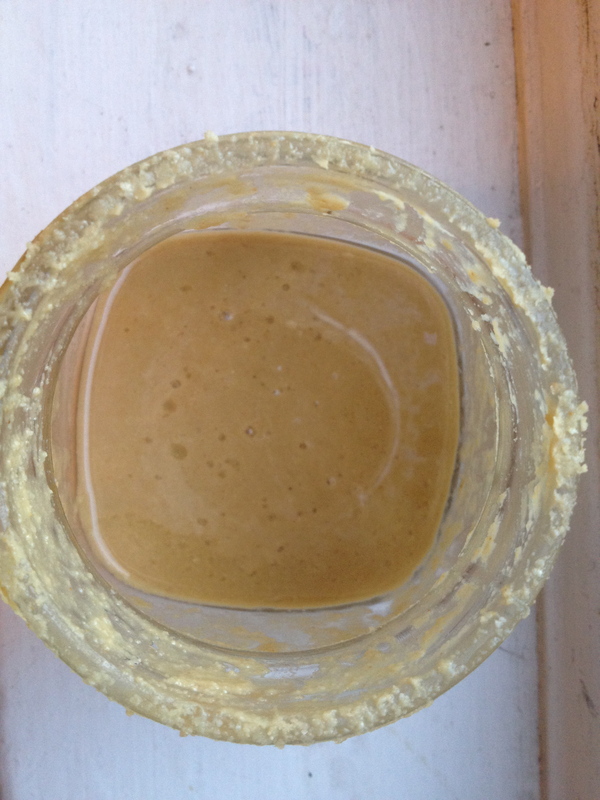 How gorgeous is this tahini? Looks like raw honey.